If there is one comfort food that I love that would be hamburgers. 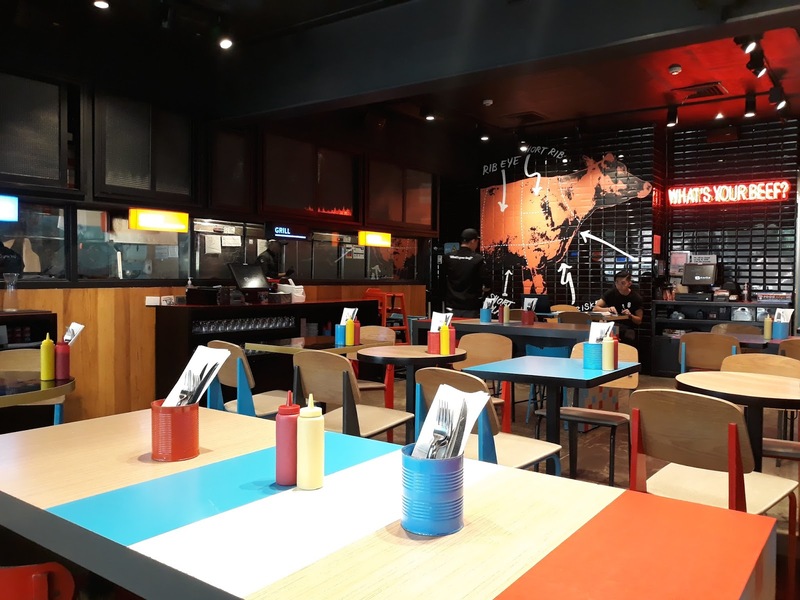 Nowadays, there are so many burger places to choose from all ranging in different sizes and flavors. 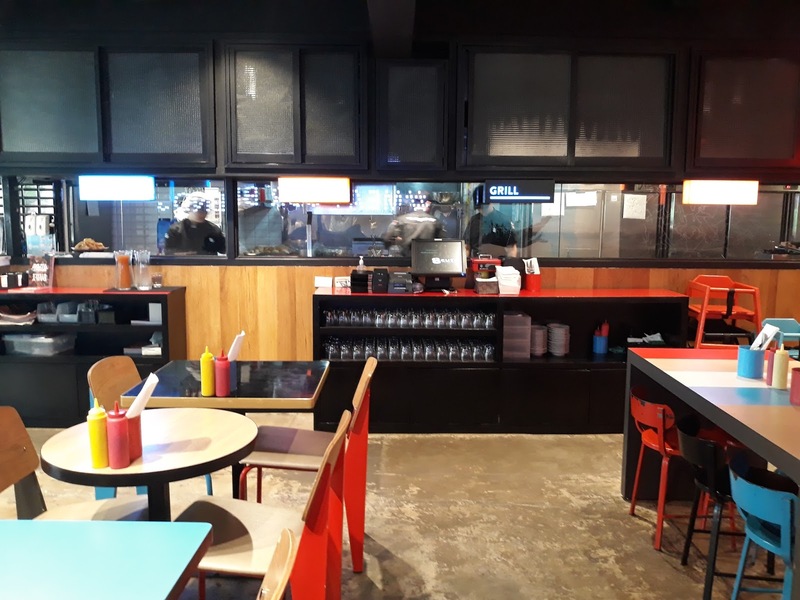 We were at Alabang Town Center to claim a book and saw 8 Cuts Burgers Blends en route so we decided to give this place a try and see what their burgers tasted like. 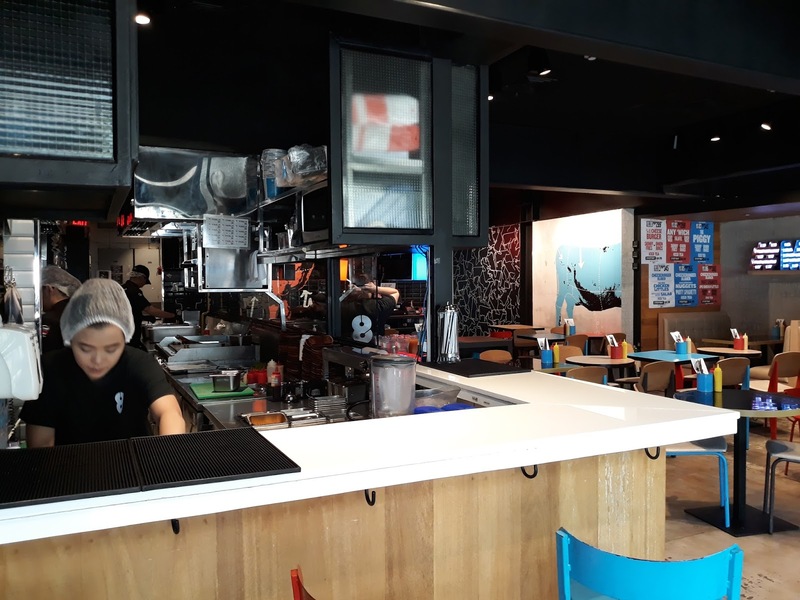 Since the mall just opened that morning, we were the first customers in the restaurant and we could not wait to taste their burgers. The ambiance itself is quite nice. Nothing fancy but there are a lot of tables and chairs for everyone. WiFi works really well too. 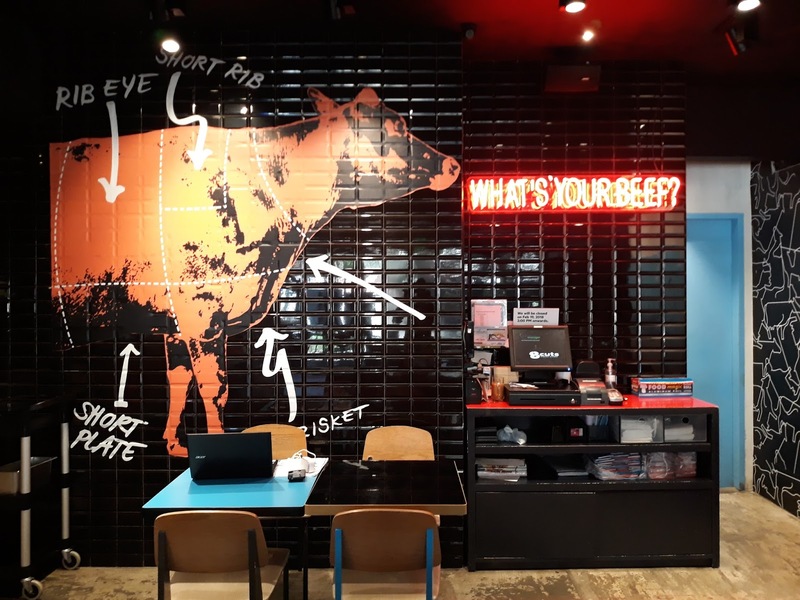 And for those who don’t know which part of the cow your meat comes, well, the posters on the wall keep you well informed! 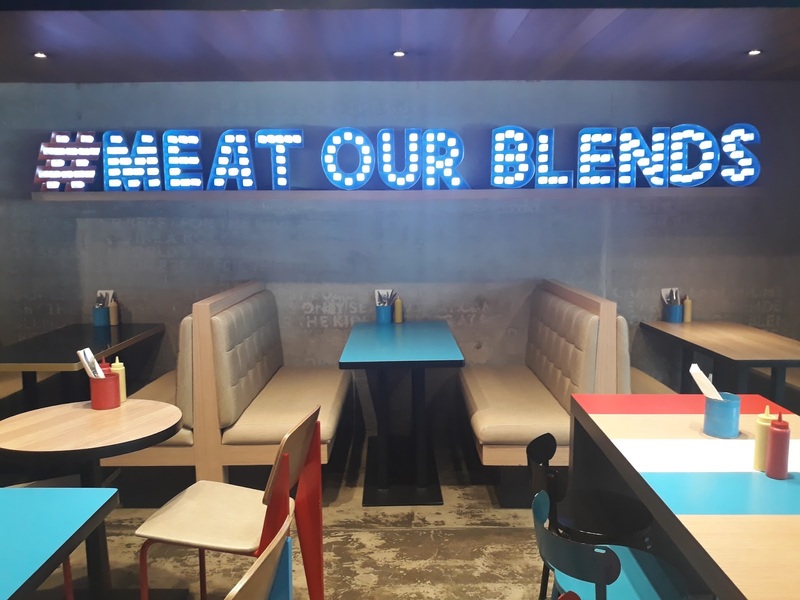 Next to the dining tables and chairs, you will also find the open kitchen so you can check how your food is being prepared. Ok enough with photos of the restaurant, let us now check the menu and get a taste of their burgers. 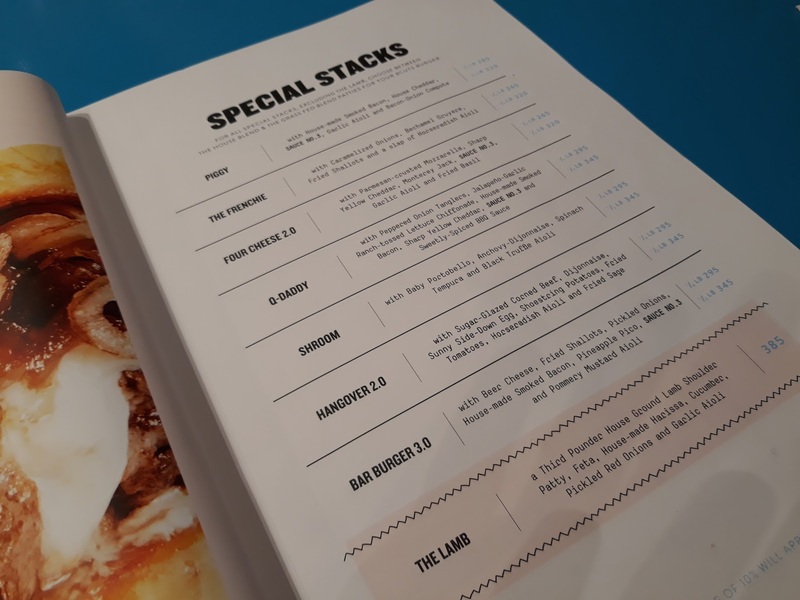 I like the menu because it has the feel of a magazine. Easy to read and quite unique! 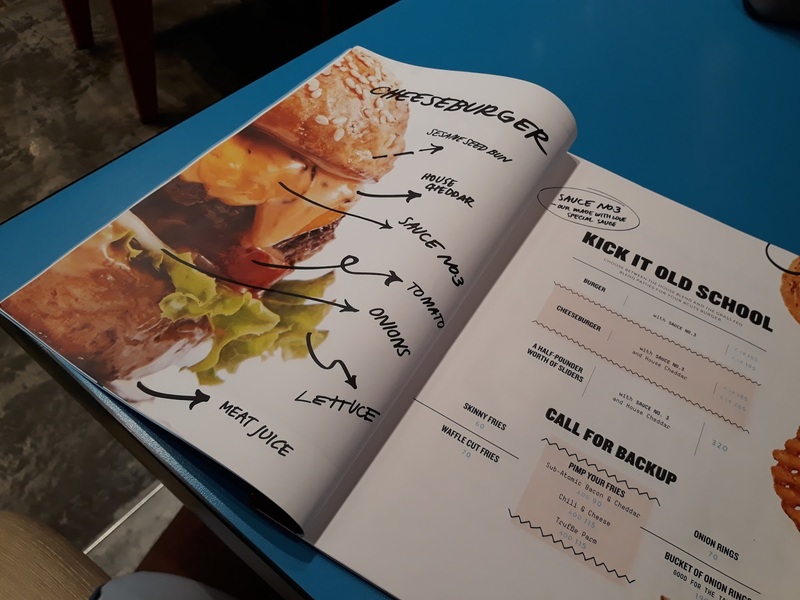 Now we are finally at the burger menu: we ordered the Q DADDY Peppered Onion Tangers, Jalapeno Garlic Ranch Tossed Lettuce Chiffonade, House-made smoked bacon, sharp yellow cheddar, Sauce No. 3, and sweetly spiced BBQ SauceTanglers and Four Cheese 2.0 Parmesan-crusted Mozzarella, Sharp Yellow Cheddar, Monterey Jack, Sauce No. 3, Garlic Aioli and Fried Basil. 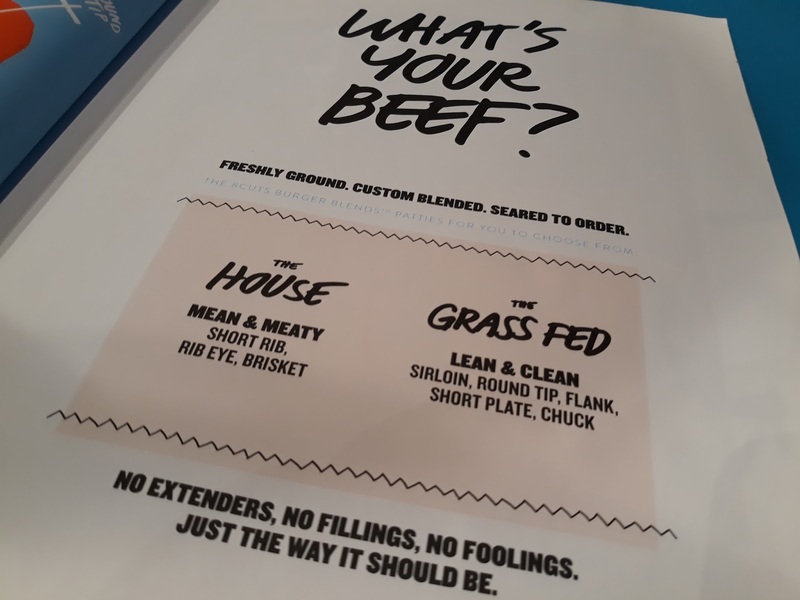 After you make a decision of your burger, the staff will ask you whether you want the HOUSE which is mean and meaty or a GRASS FED which is lean and clean. So for our burgers, we decided to go for the Grass Fed patty! 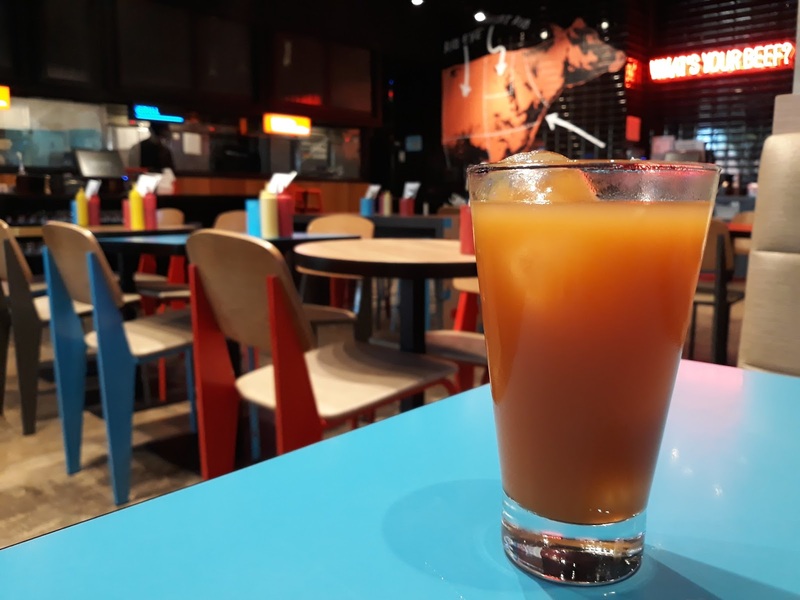 You have to try their home made ice tea and you can really tell the difference and they are very refreshing. 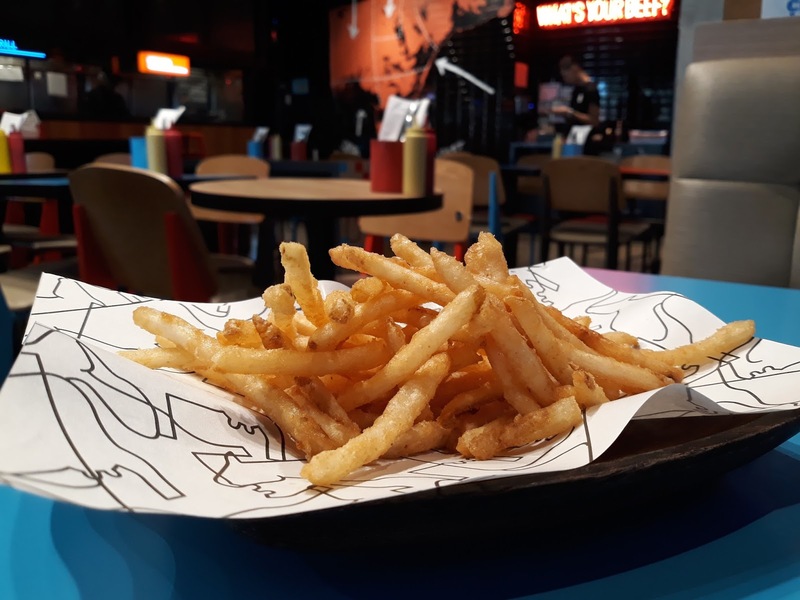 Burgers are not complete without french fries or chips. So we ordered a separate side order of fries and they was nicely spiced. 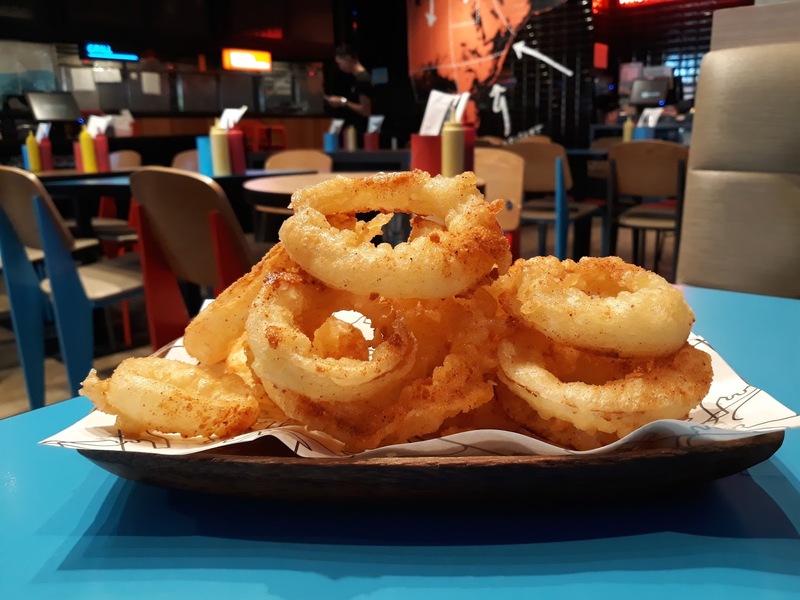 Aside from fries, I also have had a craving for onion rings. 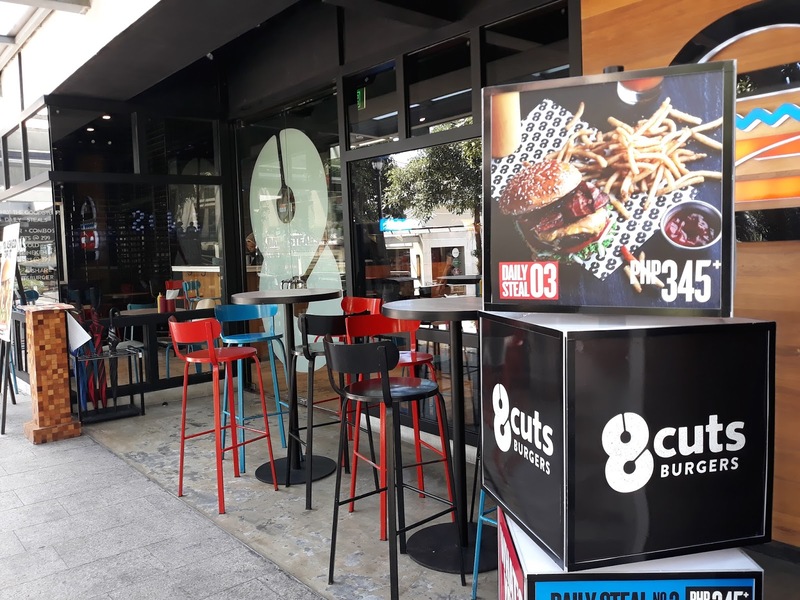 And to be honest, the onion rings here at 8 Cuts were simply the best! 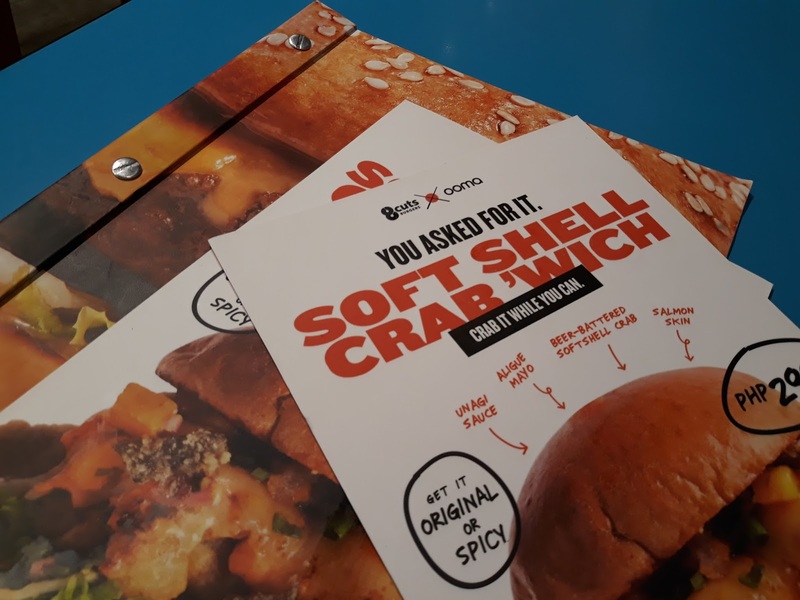 After a few minutes, our burgers arrived and they looked delicious! Four Cheese 2.0 Parmesan-crusted Mozzarella, Sharp Yellow Cheddar, Monterey Jack, Sauce No. 3, Garlic Aioli and Fried Basil. 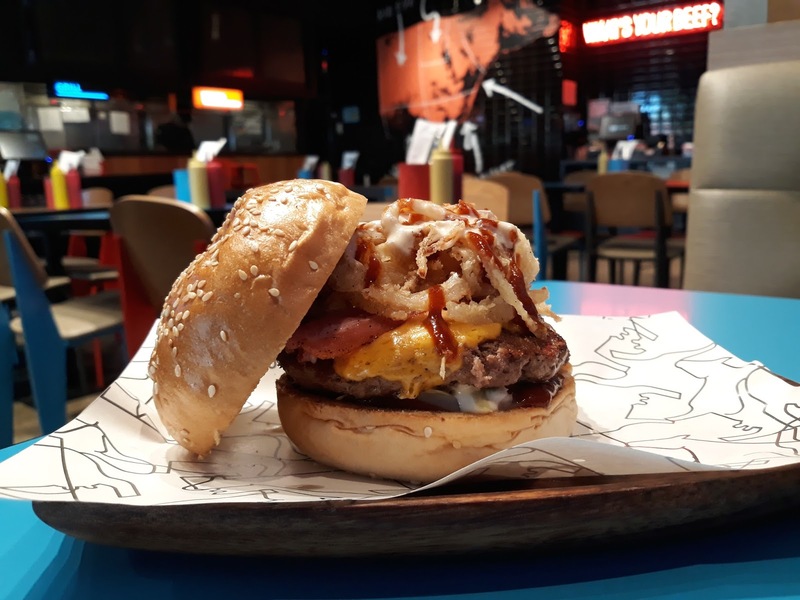 The burger average from Php 200 upwards. What can we say after tasting these burgers? 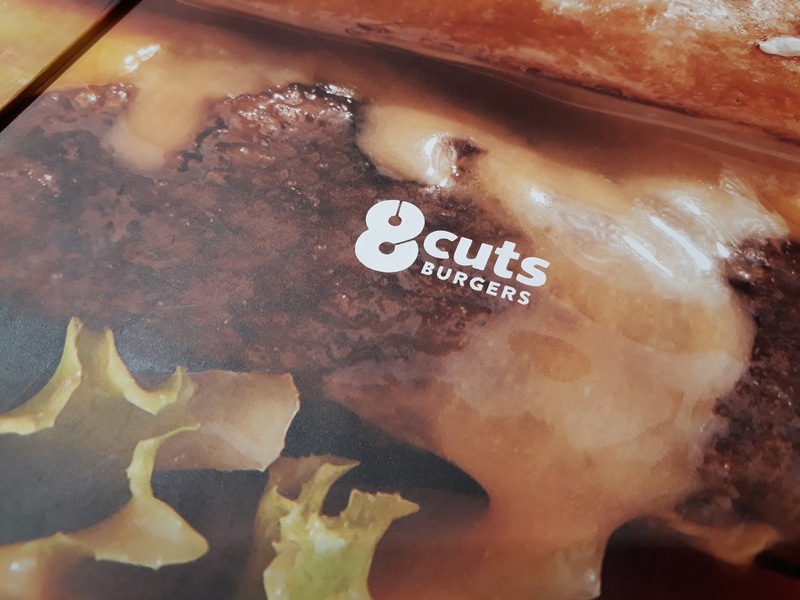 We easily fell in love with 8 Cuts Burgers! They were so flavorful and this was another burger favorite that you cannot ignore!